Cheggers is best remembered for his hyper-chirpy, off-the-cuff presenting style and infectious laugh, which annoyed the hell out of anyone who is naturally grumpy in the morning! But it would be hard to fault this guy's enthusiasm, and anyone who grew up in the 70s will have very fond memories of him on Swap Shop and Cheggers Plays Pop. 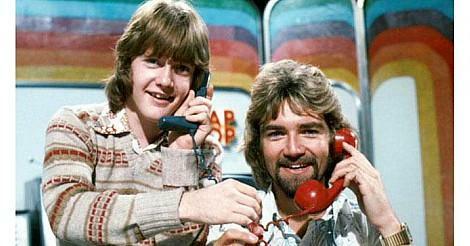 Indeed, Keith became a household name during the 70s and 80s presenting Multi-Coloured Swap Shop alongside Noel Edmonds, John Craven and, of course, not forgetting Maggie Philbin who he was once married to. There are eight nostalgic video clips in the playlist above all featuring Keith Chegwin inc. Cheggers Plays Pop, Swap Shop, Saturday Superstore, interviews with Ocean Software and Morten Harket from A-ha, and also the hit song by Brown Sauce which you can read more about below. 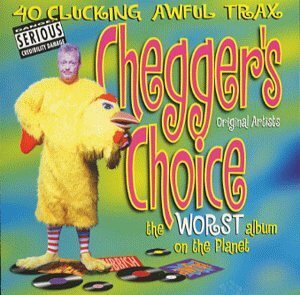 One videoclip in the playlist features The Wurzels performing The Tractor Song on Cheggers Plays Pop in 1978. I saw this band play live at an agricultural show (I think it may have been The Three Counties Show at Malvern, although I'm not entirely sure) and they really rocked - they could really knock out some decent rock tunes. Keith is the younger brother of DJ Janice Long, and started out as a child actor for the Children's Film Foundation and starred in two films. In 1973, he appeared in the first episode of the classic comedy Open All Hours and also had small roles in The Adventures Of Black Beauty, The Liver Birds, Z Cars, My Old Man and The Tomorrow People. 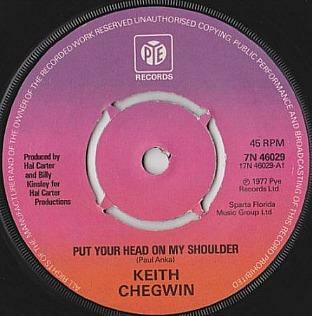 It seems that Keith was a busy guy in the 70s, as he was also a singer and released a number of singles with Pye Records. He also worked as a DJ for 194 Radio City and spent around four years working with Tony Blackburn on Radio 1. 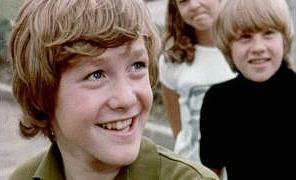 Here's a young Keith Chegwin in 1971 starring in a 12 minute cycling safety film entitled Betcher! You can see the full film in the playlist. So, who bought this single? I'm damned if I can remember it, and that Pye Records logo is more memorable to me! Put Your Head On My Shoulder was written by the Canadian singer/songwriter Paul Anka, and released in 1977. 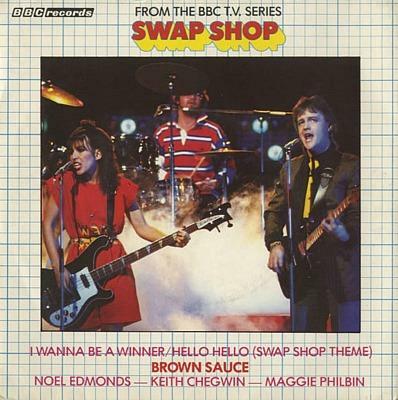 Now, I do remember I Wanna Be a Winner by Brown Sauce which was released in December 1981. This novelty band featured the Swap Shop team inc. Cheggers, Noel Edmonds and Maggie Philbin, and the song actually reached #15, as dreadful as it was! Hmm, Maggie looks like she's taking her role far too seriously here! For those who can't remember it, Cheggers Plays Pop was a BBC kids TV game show (hosted by Keith Chegwin, of course!) and was broadcast from 10 April 1978 to 7 November 1986 for nine series. As well as playing lots of silly games, the show also featured a performance by a well-known pop act. I Don't know about you, but as I grew older, Cheggers chirpiness became more annoying for grumpy old gits like myself, possibly because he refused to grow up! This was the perfect ingredient for being a children's TV presenter, of course. The more they annoy adults, the more kids seem to like them! "Let's have a look at the old score board". Oh wait, that was Bruce Forsyth's catchphrase. Never mind. Jackie Magazine No.762 which was published in August 1978 featured Keith Chegwin revealing all, although, not literally as in his cringeworthy Naked Jungle TV game show! 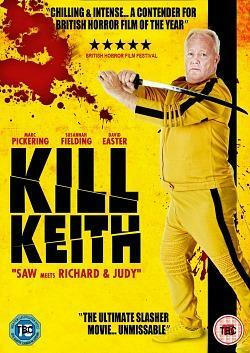 In 2011 Keith starred in the comedy horror film Kill Keith. In 2013 he took part in series 8 of ITV's Dancing On Ice and also The Chase: Celebrity Specials. In 2015 Cheggers took part in Celebrity Big Brother UK, which turned out to be a very dark and controversial series full of sexism, racism and foul-mouthed rants. Keith sadly passed away on 11th Dec 2017 after a long battle with lung disease and will be very sadly missed.